SPW conducts a Sport School of Excellence Program in the fields of soccer and netball for students who demonstrate advanced skills in their respective field. As part of our commitment to providing an exceptional program we invite expert coaches to train and lead our students throughout the year. We are excited to announce the appointment of both the netball and soccer coaches for 2018. We’ve asked each coach to tell us a little more about their experience. Ever since I was young I had a strong passion for soccer and began playing for Western Strikers Soccer Club at age 7. I won a cup final at Hindmarsh stadium when I was in Under 13s and multiple JPL league titles. In my final season as a player I moved to Croydon Kings, where I captained the Under 17s team to a league title. Due to my studies I stopped playing, but with my love for the sport continuing to grow I took on various assistant coaching roles learning more about the tactical side of the game. As a coach I love to see kids grow and learn about the game. More importantly, it’s vital they enjoy themselves and create long lasting friendships through experiences on the soccer field. I started playing soccer 12 years ago at Adelaide Comets FC in the Under 8s. 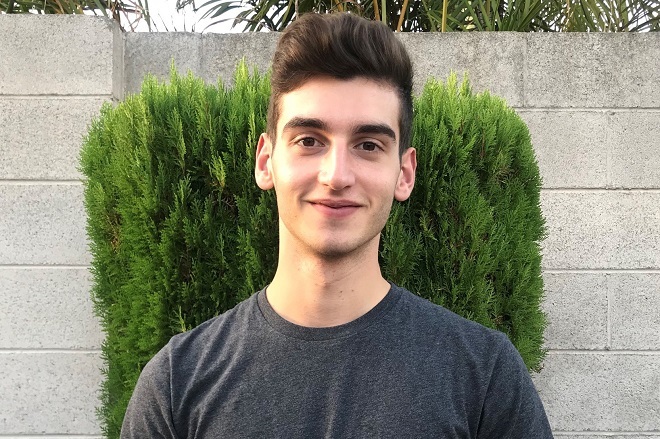 I played for the club through the junior ranks and was lucky enough to represent the club at the first team level at the age of 17. 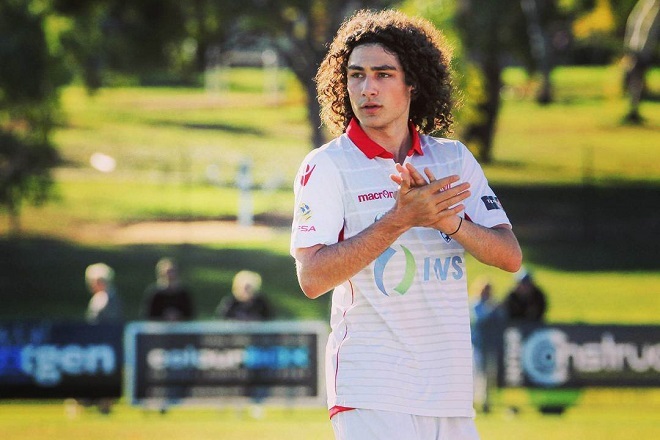 From there I spent the last 12 months in the Adelaide United youth system which enabled me to develop considerably as a player but also in my coaching philosophies. Currently I am playing for former School of Excellence coach Neil Young at Cumberland United. Thanks primarily to Neil, I have been coaching children ranging from ages 6 to 18 over the past three years. This includes time at Immanuel College working with both the Middle and Senior A teams, as well as Under 6 and Adelaide Comets School of Excellence coaching. Last year I was fortunate enough to be at SPW running the girls side of the soccer program and seeing the enjoyment and fun all the kids had and I’m hoping to continue this going into 2018. My philosophy as a coach has been largely shaped by my experience as a player, valuing players techniques but also leadership and communication skills with a primary emphasise on playing the ball out from the back and building attacks. Teams I have coached in the past have played free flowing and attacking football with smiles and goals a plenty. I started playing netball in high school, Luthayi High in Hammarsdale (a township in Durban, KZN where I was born). As a South African, I played for my ward, district, region, province and finally made the national team (the SPAR Proteas). I have captained the KZN Kingdom Stars in the Brutal Fruit Netball League (South African Netball League) for 2015/2016. I made and captained the South Africian Squad Under 21s at the World Youth Netball Champs in Cook Islands in 2009. In 2011 I made the South African Seniors team to compete in the Netball World Championship in Singapore. From there, I played my first Commonwealth Games in Glasgow, 2014 and second World Netball Champs in 2015 in Sydney. Since then, I never looked back. For a couple of years I have been the vice captain for the side and to date, I’m the SPAR Proteas Captain. 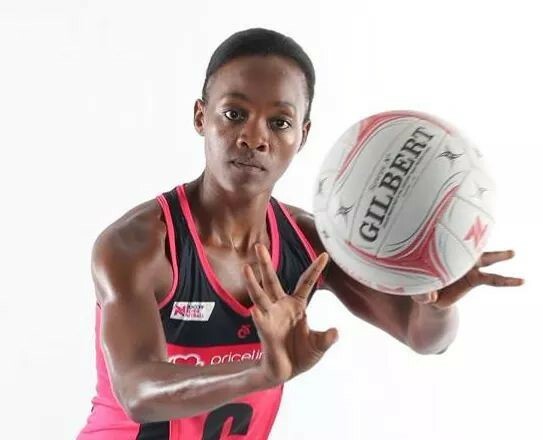 While attending the national duties, in 2015 I had a chance of playing in the England Vitality Netball Superleague, representing Surrey Storm. It was the first time playing a league overseas and I had a great time as we won and became 2015 Champs. Again in 2017 I represented Wasps Netball (England Netball Superleague) and we became 2017 Champs. While cherishing these lovely opportunities and moments, I then received an offer to be an Adelaide Thunderbird for 2018 season and I’m very grateful and honoured. 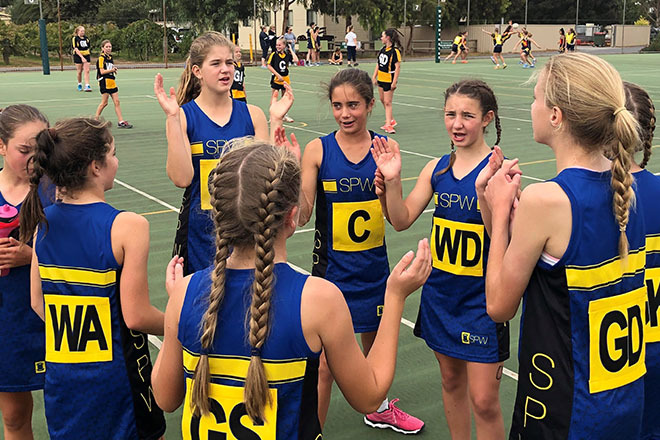 Still in pre-season and enjoying every moment in South Australia, I am lucky to have a chance to coach the students at SPW while enjoying my netball. I have met the students and staff members and we’re all excited to start training. I love coaching and it will be great to share my experiences both as a player and coach with the students and enhance the level of enthusiasm and passion for our amazing sport at the school. Before the 2018 Suncorp Netball Superleague begins, I will be heading off to Gold Coast to meet Team South Africa for the 2018 Commonwealth Games preparations and proceedings. I’m very excited for this opportunity as this will be my second Commonwealth Games. I look forward to a busy and exciting 2018. If you’d like to learn more about the SPW School of Excellence Sport Program please contact Alastair Dow, Head of PE and Sport.